“The development of an individual’s mental health did not start at birth but in the uterus,” according to Professor Carmine Pariante of King’s College London’s Institute of Psychiatry. This is not to be taken lightly. An estimated 1 in 10 people have depression in the U.S. We know that cortisol (stress hormone) effects the child’s development in the womb. We are now just learning to what degree. This article discusses a study showing that children whose mothers were depressed during pregnancy have an increased risk of depression in adulthood. If depression can be treated during pregnancy, then women not only help themselves but the potential suffering of their child. 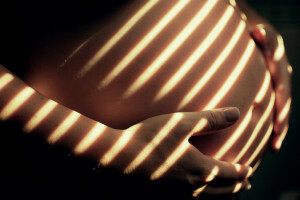 Ideally, treatment for depression is initiated before a woman is pregnant. There are many ways to treat depression. Talk to your health practitioner if you are struggling with symptoms. It’s that time of year again…. deciding whether the flu shot is right for you. This year, the flu shot will come in different varieties. Besides the adult version of your basic shot, there is also a nasal spray, intradermal shot, the higher dose shot for the elderly and the egg-free shot. 1. Four Strain Shot. For the first time, the flu shot will protect you from 4 strains of influenza. The original shot has always protected against 3 strains (which is still available). The newer vaccine offers better protection for what you might encounter this flu season. There are some side effects which may be soreness at the injection site, muscle aches and low grade fever. This vaccine is a little more expensive, but what’s your health worth? 2. Nasal Spray (FluMist). This vaccine covers all 4 strains of virus. It is squirted into nasal passages and used for small children, who obviously don’t like needles. Healthy adults can use this as well. This vaccine does contain ‘live’ viruses but they are weakened. It cannot cause flu illness, but may have more side effects which include runny nose, wheezing, headache, sore throat and muscle aches. We usually give adults and kids a homeopathic remedy to offset any side effects called “Thuja” which really helps. 3. Egg-free Vaccine. This is for all of you that could easily avoid the flu shot in the past by telling your practitioner that you were allergic to eggs. 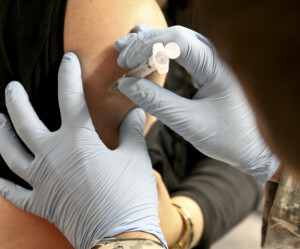 Now, the first egg-free flu vaccine is available called “Flublok”. The influenza viruses in this vaccine are cultured in caterpillar cells instead of chicken eggs. And, no, I don’t think you’re allergic to caterpillars! 4. High Dose Vaccines. This may sound cruel in giving our grandparents higher dose vaccines, but those over 65 need higher amounts of influenza vaccine to protect them from dangerous complications of the flu which include pneumonia and even death. This is because as we age, our immune systems get weaker and illnesses can be much more devastating. 5. Intradermal Vaccines. This is for those who don’t want the nasal spray and also are squeamish about shots. It contains a panel of micro needles rather than a single needle and does not go as deep in the muscle. So who should get the flu vaccine? The high risk population includes people with asthma, diabetes, lung disease, heart disease, pregnant women, children under the age of 5 and those over the age of 65. Also those that are healthy but are likely to be exposed are health professionals, teachers, business people who travel, children in daycare, and all kids and teens in school. Who should NOT get the flu vaccine? Those who have a severe illness especially with a fever, should wait to get the flu vaccine. Anyone who has had a severe reaction (Guillain-Barré Syndrome) to a prior vaccine should avoid the vaccine. My advice is…consider the flu vaccine if you are at high risk. But if you decide not to get the vaccine, then at least do something. Consider a homeopathic product called “Influenzium” that contains the same current strains as the flu vaccine. This is different than Oscillococcinum which is a homeopathic remedy used primarily to treat the flu. Homeopathy is an extreme dilution of the active substance (influenza virus) that would normally cause influenza if taken in higher doses. Other ways to protect yourself is by using other supplements such as olive leaf extract or elderberry extract which have anti-viral properties. Lots of Vitamin C, fluids and rest really help. Of course please wash your hands and stay home when you’re sick. I’ve been saying it all along, but we finally have more research explaining the differences between synthetic and more natural forms of hormones. The only thing the article did not mention was the additional benefit of using natural hormones transdermally (on the skin) versus taking a pill. There is a huge difference in fewer side effects and less incidence in blood clots when using estrogen on the skin. 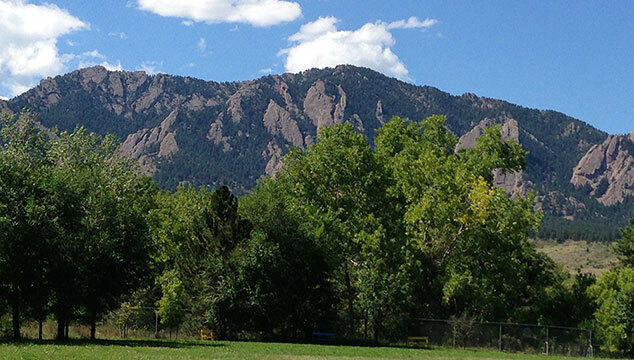 There is so much I have learned about my town in Boulder Colorado. We are all in the midst of recovering from the impact of the flood that took belongings, homes, businesses and lives from many people. What you learn from going through something like this is the amazing resilience that lies within each of us. Resilience. It comes from the latin word resili, which means to spring back, rebound. It is defined as the ability to recover readily from illness, depression, adversity or the like; buoyancy or elasticity. (dictionary.com). Wow! Thats the truth. We all have that strength and capacity to bounce back. Get up when the situation has pushed us down. We don’t see or test that within ourselves unless we go through a trauma or unexpected event. Hurricane Sandy, Katrina victims and so many other devastating storms have destroyed what we have and what we have identified ourselves with until it’s just…gone. This is also the time to reflect on what’s important in our lives. Our family, friends and communities. Neighbors have come together to help out, support one another, take in evacuees or just to hold us while the tears of sadness and loss take over. It’s overwhelming but we will get through this! This is a time to be patient with ourselves and open up our hearts to those less fortunate. Even those who may have had no damage to their homes can feel the heightened stress, anxiety and grief that so many are experiencing. So many are feeling a heavy heart from friends that have suffered great losses and watching their beautiful community change overnight and become a national disaster area. But it’s resilience that will allow us to look back later and ask, “Where were you when the 100-year Boulder flood happened? ” We will each have our own stories to tell and we will be much stronger from it. Microorganisms in the gut play a very important role in our health. It’s functions include communicating with the immune system, preventing growth of harmful species, synthesizing vitamins such as biotin and Vitamin K, and producing hormones that effect the storage of fats. This articles addresses a few specific benefits such as preventing obesity and how bacteria effects mood. Altering gut microbes can improve insulin sensitivity and glucose tolerance. 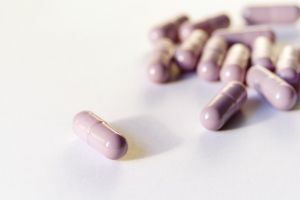 Treatment especially with Bifidobacter species and Saccharomyces boulardii probiotics have shown less extraction of calories from food which means better weight control. In one study, mice were genetically engineered without their own gut bacteria and instead half were given bacteria from obese humans and the other half received gut bacteria from thin people. The mice with obese bacteria gained more weight indicating how these microbes effect the physical and metabolic traits of their owners. As far as mood is concerned, we need to realize that our gut is considered our “second brain”. There is more serotonin in our gut than our brain, which makes it such an emotional center. Some of you may notice that when you’re anxious, you may feel nauseas, queasy or have diarrhea. High levels of Cortisol (stress hormone) irritate our gut and inflame the brain. Certain species of gut bacteria (Lactobacillus Rhamnosus) acts on our central nervous system that can calm our emotions. We will be hearing a lot more about the importance of the trillions of bacteria in our gut and how its own genome can prevent (and maybe even treat) disease. Not sure if bacteria transplants will be the norm, but identifying each persons unique bacterial make-up will soon be common testing along side checking you cholesterol.